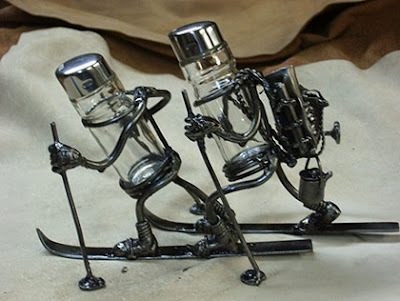 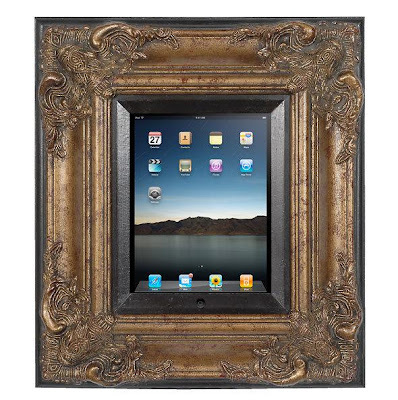 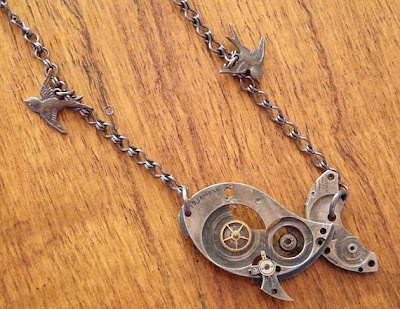 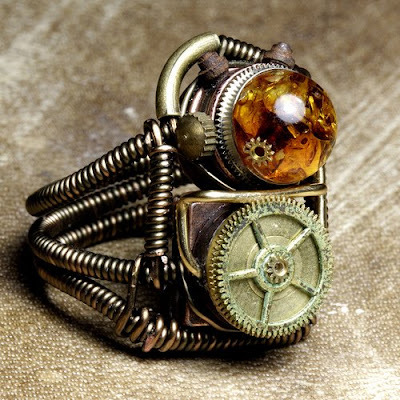 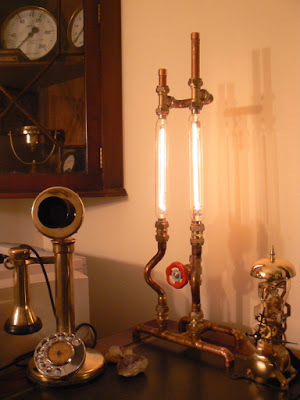 Collection of creative gadgets and designs styled in a steampunk genre. 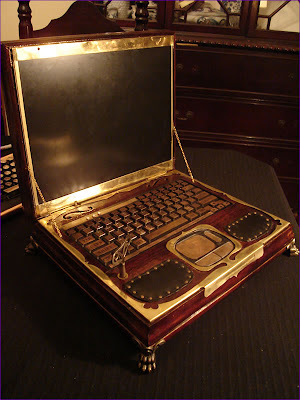 Steampunk Laptop: It may look like a Victorian music box, but inside this handcrafted wooden case is a HP ZT1000 laptop. Steampunk Headset: This fun and cool looking piece of art is called "mechanical aural communication device". 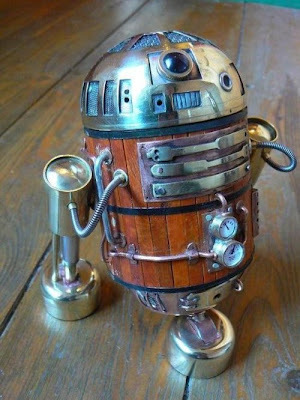 Steampunk R2-D2: R2-D2 sculpture by Amoebabloke from Deviant Art. 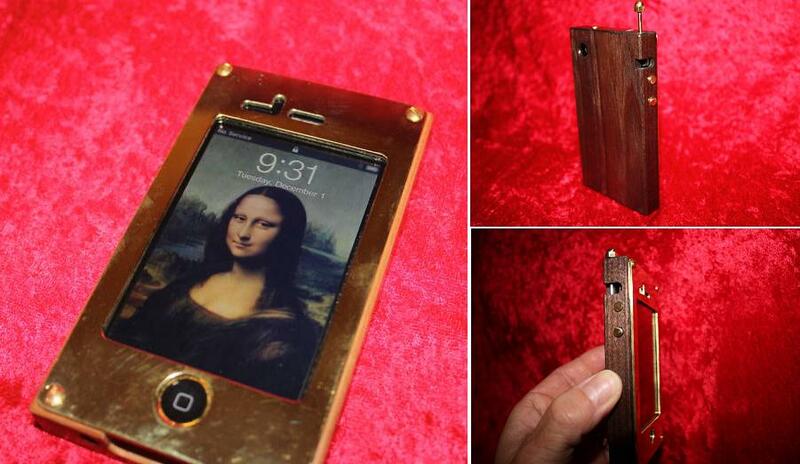 Steampunk iPhone Case: Cool iPhone case handmade from real wood and brass. 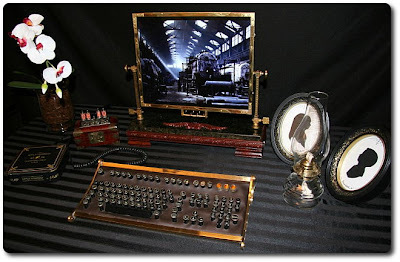 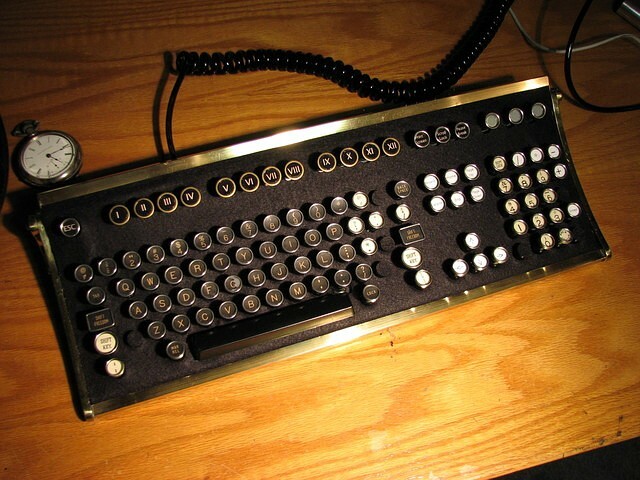 Steampunk Keyboard: This beautiful retro keyboard is fully functional. 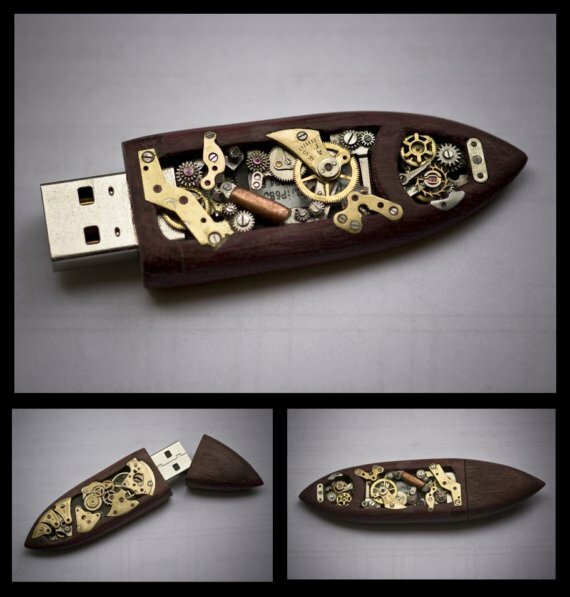 Steampunk USB Drive: Handmade from used parts from around 6 different pocket watches, this 16GB USB drive glows green from underneath the gears. 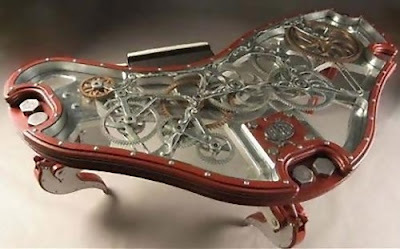 Steampunk Desk: Designed by Dale Mathis, this desk features numerous gears of different sizes that all sync together and keep turning. 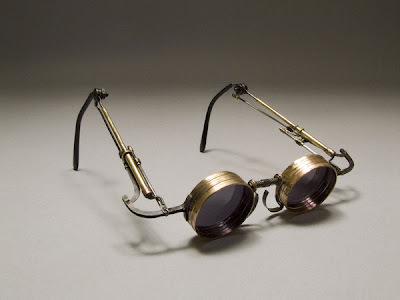 Steampunk Glasses: Cool pair of glasses styled in a steampunk fashion. 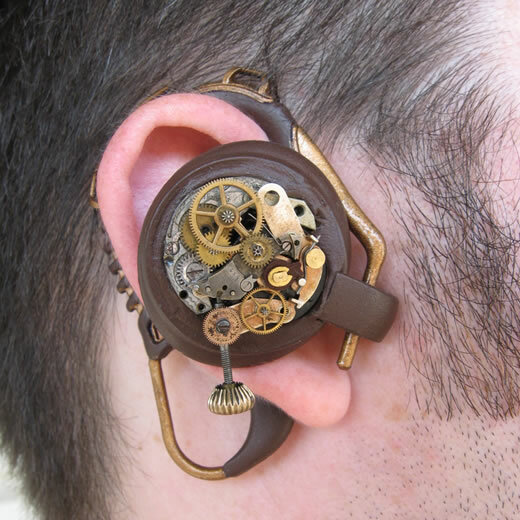 12 More Creative and Cool Headphones.